Most people hear about road trips with kids and recoil in horror. They picture whining, fighting, complaints, messes in the car, and annoying bathroom stops every 30 miles. They should really watch less TV and go hit the road. A road trip with children doesn't have to be a disaster. If you've got good-natured, well-behaved children to begin with, chances are they'll be OK even on a long trip. You just need to make some preparations, and take some precautions, to accommodate for the different setting. Think about it: taking your kids on a long car ride doesn't change their personalities. It just introduces some variables that can alter the way they act. These variables can include heat, cold, hunger, thirst, boredom, and lack of sleep. You'll also want to have a system in place for inspiring, and rewarding, good behavior (think, treats and toys). And you'll want to plan some road trip stops and activities that are geared entirely towards the kids, so that they feel the trip is about them, too--not just about reaching the destination. So, if you just put a plan in place for addressing each of these variables, you'll win. And the payoff is huge: a family trip you'll discuss for years to come. Before you embark on your next car trip with children, spend a little time exploring these resources. Road trip fun. How can you help your whole family enjoy your next road trip more? Here are some thoughts on how to keep the mood light with fun stops, games, and music. Car games for kids. Don't forget to pack some fun travel games to keep your kids occupied. 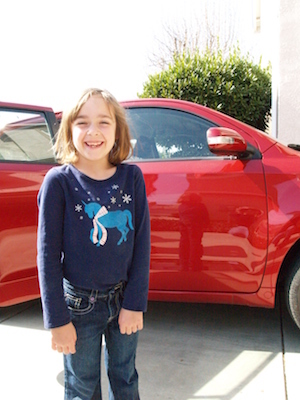 We'll share some ideas on what kinds of games keep the kids happy without annoying the driver. Children luggage. Here's how to navigate the challenge of buying sensible, affordable luggage for your kids. Children's suitcase. We share our thoughts on how to find that perfect bag for your son or daughter. Travel with babies. Planning travel with babies? Follow these tips to make your road trip a success. Remember: being a parent doesn't mean the end of exciting, adventurous road trips. It just means you'll have to plan a bit more carefully before you set off on your next journey.